After a panel consisting of eight AIIMS doctors in its report stated that Asaram was not needing any surgery and that his treatment was possible through medicines, the Supreme Court today refused to grant bail to self-styled godman Asaram. The Court reportedly said, "We have no reason to reject the opinion of the experts of All India Institute of Medical Sciences (AIIMS)." The three judge Bench consisting of Justices TS Thakur, RK Agrawal and Adarsh Kumar Goel also asked the Jodhpur trial court to take effective steps regarding examination of three of six material witnesses in the case. Senior Advocate Vikas Singh appeared for Asaram and submitted that, "yes, there was an application for interim bail on medical grounds, but I have something to say on merits also." However, the Court made it clear that it will hear the case only with respect to bail application. However, Senior Advocate Vikas Singh submitted, "Three material witnesses (the girl and her parents) have already been examined and out of remaining three material witnesses, one has been partly examined. Moreover they have nothing to do with the alleged offence in question." Thereafter, the Apex Court said, "we want to make it very clear to you. If you do not go to the High Court then we will not allow you to withdraw it from here and we will pass a detailed order.” It added, "We will not allow you to waste the judicial time then withdraw the application. You are there (jail) because there are serious allegations against you." The Senior Advocate then said, "I have no option then," and argued on the bail application, which was eventually rejected. 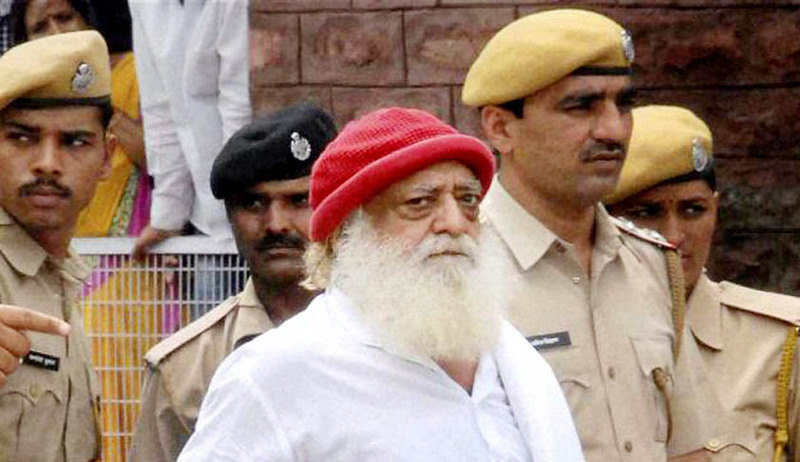 As a result, Asaram, arrested in August 2013, will continue to remain in jail.